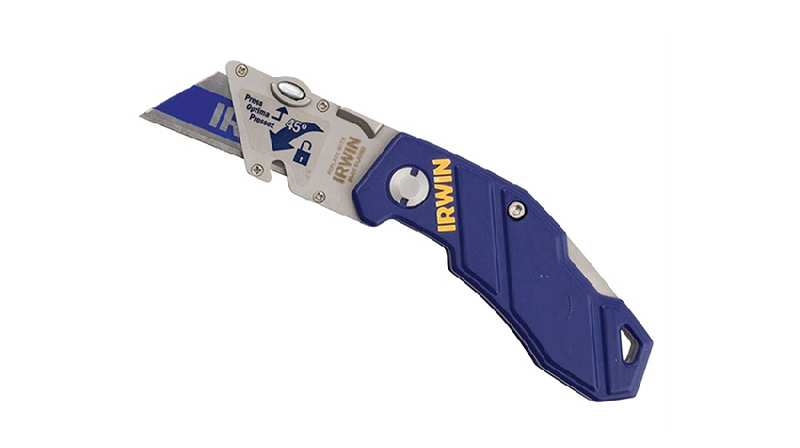 The Irwin 10507695 Folding Trapezoid Knife has a quick change mechanism that allows for easy blade removal and reversal without opening and also has a built in wire cutter for convenience. Standard folding Stanley knife easy to change the blade, blades that come with it are good quality and has stayed sharp for a long time sturdy knife. A great little folding knife, fits in my side pocket like a dream, I have it on me all the time. 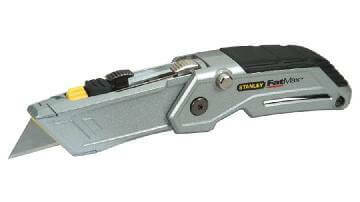 The wire cutter or multi cutter is a great idea and it works well. Really can't fault it at all. Great knife reasonably priced. Fits in your pocket nicely and the locking mechanism is nice and strong. Easy to use and very durable. Worth the money definitely. To be honest it does last much better then most of the knives I’ve used so far. Nice little pocket knife, very handy and built well. Good value for money and I got a free pack of blades as well. Nice locking mechanism that gives you confidence it’s not going to fold back on your fingers. After trying many big brand knives, this one beats them all. I use this knife a lot for cutting plaster board. It’s important that I have control and this knife does just that. A nice light and well built knife not much different compared to other brands but the biggest let down is that you can’t store any blades within. Quite a cheap knofe compared to some of the other brands i have used. Good knife, comfortable grip and easy to use. Made to last. The knife has a bit of weight to it which is a good thing too. Better than Stanley by far! Great little knife, well built and feels solid with a solid folding action. Came supplied with a bi metal Irwin blade which in its self is one of the best blades I've used. Cracking little knife its lasting well had some other folding stanleys that the blades would just pull out with a bit of resistance whilst in use this knife holds the blade in firmly. Does the job it is meant to do. Best folding knife I've ever had. It holds the blades tight and feels comfortable in my hand. Good grip for confident striking when cutting fire boards. Would buy another in a heartbeat if I lost this one doesn't feel like I will break it. Love my Irwin folding knife! Had a draper one that was similar before but the blade kept slipping out. 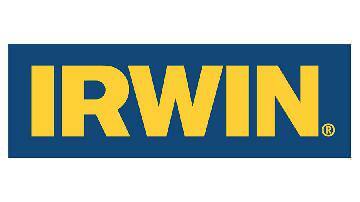 No such problems with the Irwin, its fantastic.